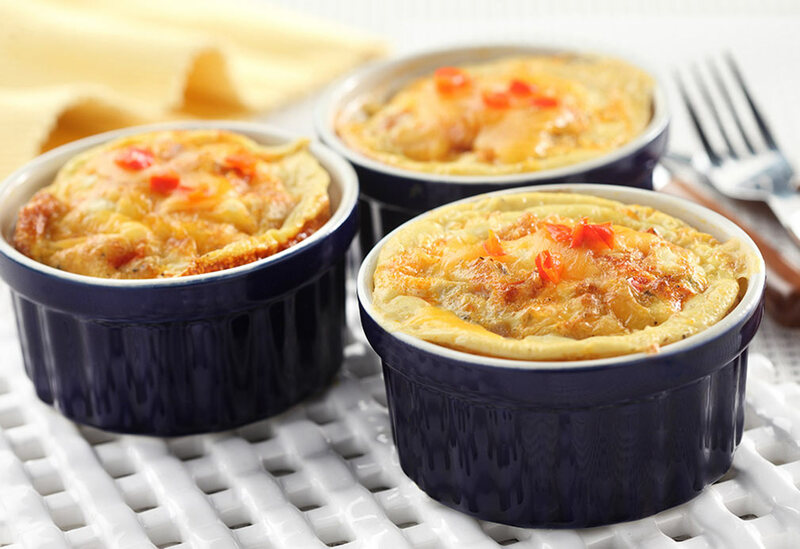 This dish can be prepared in one large casserole or in 6 individual ramekins. Accompany with fresh salsa and a mixed dark green salad for a simple, yet impressive brunch idea. 1. In large saucepan, heat canola oil over medium heat. Add onion and sauté for about 5 minutes. Add chili powder, cumin and red pepper flakes and stir for 2 minutes. If you like it extra spicy, add more red pepper flakes to taste. 2. Add black beans and tomatoes. Stir. Bring to a simmer, cover and cook for 15-30 minutes until thickened to desired texture. While mixture cooks, preheat oven to 350 °F (180 °C). 3. Lightly brush 6 ramekins (placed on a baking sheet) or one 2 quart (2.25 L) casserole dish with canola oil or cooking oil spray. Mash bean mixture well and evenly divide amongst the dishes. Make a shallow hole in the middle of each one. 4. Carefully crack one egg on top of each dish. Sprinkle lightly with cheese. Bake for 15 minutes or until egg is cooked to desired doneness. 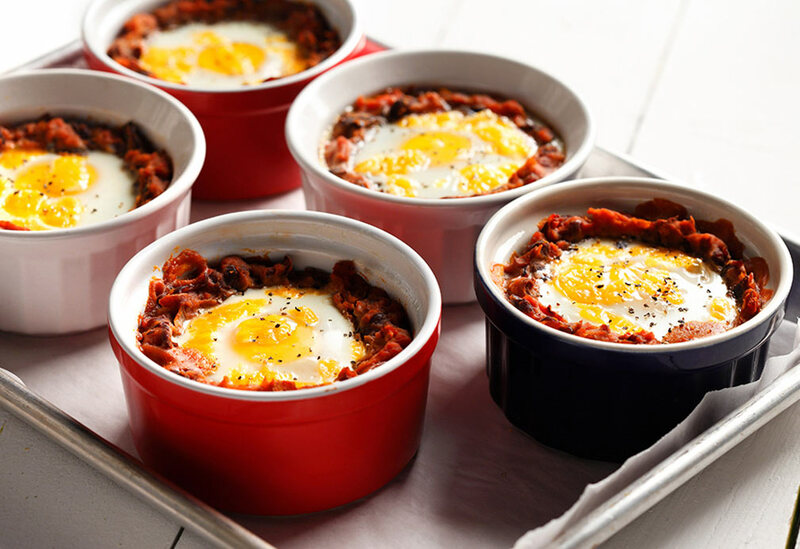 Eggs are a complete source of protein and here they are baked with veggies like a casserole. The frittata is perfect for brunch, lunch or even dinner! 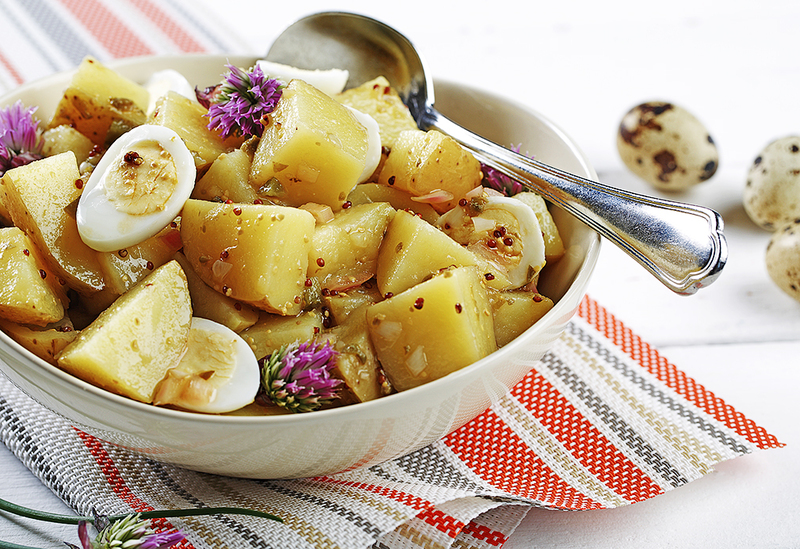 Recipe developed at The Culinary Institute of America by Chef Instructor Brenda La Noue. See Chef Almir Da Fonseca prepare the recipe in the video below. 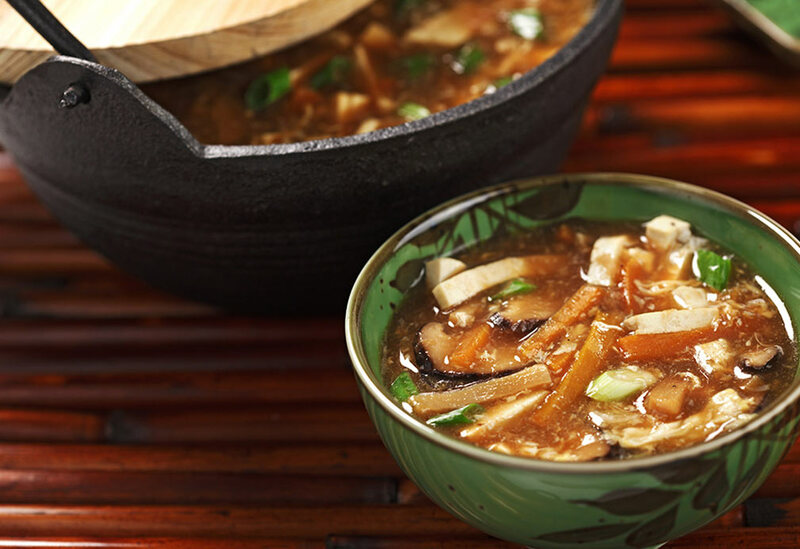 Traditional hot and sour soup is meat-based, but this vegetarian version gets its protein boost from tofu and eggs.